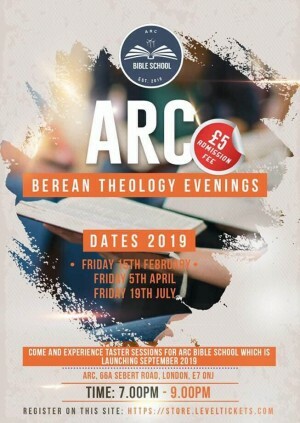 Attend our Theology evenings as a Tasters to our Bible school, which will commence in September 2019. For more details about ARC Bible School and enrol on course. Email bibleschool@arc4u.org.uk for details. Help us spread the Word, Thanks. Keeping it radical, simple and always keeping it real.